The waste and recycling industry offers a number of opportunities for someone looking to start a small business with a modest investment. You just need to find one or more waste materials that are being discarded but can be reused, resold, or recycled. Here are a few examples of recycling business opportunities that can be started on a shoestring. If there are no recycling bins or too few of them in your area, buy some recycling bins. 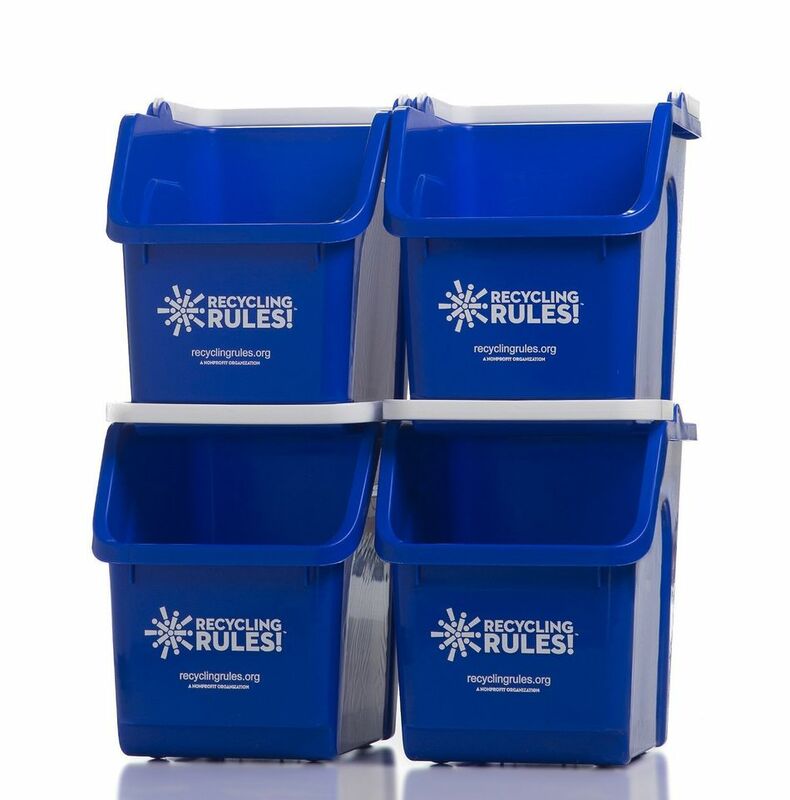 You can even customize them by purchasing plain bins and adding a colorful sticker. Place them in commercial and residential areas. Be careful to place them where they will be useful but won't be a nuisance. Ripple Glass tried this approach successfully in the Midwest. It places glass bottle drop-off bins in various locations. Clothing bins are a popular variation on the theme. Plan the location of your bins strategically, picking locations where you will get the right type of traffic depositing the kind of materials you want to collect. Then clear out the bins on a regular basis and sort the material. When you have a bulk amount, sell it to a scrap yard or a larger recycler. Make sure you get the permission of local authorities or property owners before placing bins. You don't want to create any ill will. If you enjoy yard sales, flea markets, and local auctions, this is the idea for you. Buy underpriced items and resell them at closer to market value in order to generate a profit. Any number of valuable items may be underpriced by their owners, ranging from collectibles, art, antiques, scrap metal, retro fashions and furniture, old audio equipment, and more. Your best strategy is to become an expert on the value of goods in a few categories. If you are looking for something specialized, contact sale organizers beforehand to see if they are selling the type of product you buy. It will narrow your hunt. Toner or ink cartridges used in printers, fax machines, and photocopiers can easily be recycled by replenishing the ink supply, but few businesses or individuals take advantage of that fact. And there is the opportunity for a small scale business. All you need is toner ink refilling skills, a few tools to do the job, and transportation to get to your customers. You'll have a great competitive advantage over retailers of brand new toner cartridges because you can offer your refills for about half the price and still make a profit. There are plenty of opportunities in scrap metal collection and sales. The start-up cost can start as low as $2,000 and you can expand your business over time. Basically, you need a pickup truck or utility trailer, net and tie-downs, and some basic tools and personal protective equipment such as gloves and safety shoes. Scrap metal can be picked up from homeowners, renovation projects, and other sources and then resold to larger recyclers.